I’ve never seen improv comedy before. In fact, I’ve never seen anything other than improvised dance before, so when I found out Mischief Theatre (the creative geniuses behind The Play That Goes Wrong and The Comedy About A Bank Robbery) were going to be going back to their improv roots over Christmas I was eager to see them. But I didn’t manage to get to the Arts Theatre to see them during that period I was really disappointed. But thankfully an invite landed in my inbox to see a 5* sold out Edinburgh Fringe show that’s been playing select dates in London. That meant I had my bum firmly in a seat at the Leicester Square Theatre to see Degrees of Error’s Murder She Didn’t Write on Sunday, and I can’t believe I didn’t go sooner. It’s been a long time since I went to the theatre and smiled as hard as I did when I was at Pippin over the weekend. Transferring from Hope Mill Theatre in Manchester (somewhere I’m hoping to take a trip to this spring to finally see Spring Awakening), Pippin is playing at the Southwark Playhouse for four weeks only. Well now you’ve only got a couple of weeks to get your bums there and I’m going to tell you exactly why you need to take the trip. We all know I love a theatre trip around these parts, and one of my 2018 goals is to see 24 shows over the year. Well your girl is getting on top of this target early because I’d seen 2 before the first week of the year was over. On Saturday I had one of my classic two show days, and my first was a visit to Charing Cross Theatre to see The Woman In White. Just over a month ago, an invite landed in my inbox to attend the London preview of An Act Of Kindness*. It was due to hit the Edinburgh Fringe a couple of weeks later, but due to being on holiday I was unable to make it. Not to worry though, as on Wednesday I found myself in Edinburgh and able to see it a month after I originally should of done! One of my summer goals was to see four shows. 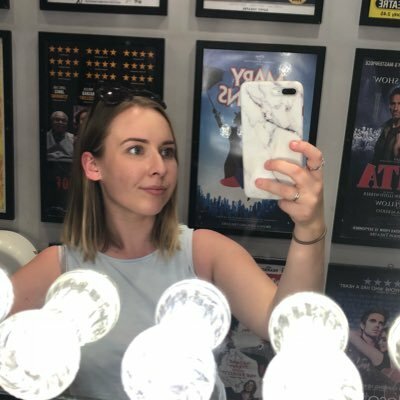 I’m three weeks into my seven week break, and I’ve now seen three shows so I’m pretty chuffed with my work. I also have three more scheduled, although I probably won’t manage any more than that (although I will definitely try). I’m talking about the shows I’ve seen all out of order though, as I want to share my opinions on the shows that are closing the soonest first. This means that first up is the most recent show that I’ve seen: Yank! A WWII Love Story at The Charing Cross Theatre.